Typically, the birth of a child is a joyful and medically uneventful experience. Unfortunately, circumstances occur where complications arise during childbirth which may produce catastrophic injuries to the child or mother. Catastrophic injuries can occur in many ways some of which are listed below. Nothing can compensate for the birth injury to your child, but if an obstetrician or other medical professional was negligent in the proper treatment of your child, you may have a case for medical malpractice. Call the law office of Samuel Spatzer as soon as possible. 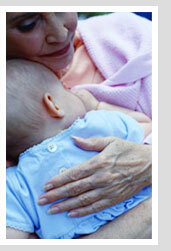 Attorney Spatzer has been serving parents in severely injured or deceased infants since 1973. He has helped numerous families receive multi million-dollar settlements to cover the cost of their injured children's medical bills for life in cases where negligence was proven on the part of the delivering physician or medical facility. He is extremely knowledgeable in the complicated area of birth injury litigation. If your baby has been injured during childbirth, your family may be faced with a lifetime of expensive medical care. Contact the law firm of Samuel Spatzer, P.A. to speak with a lawyer who can help you get a settlement for your child's pain and suffering.